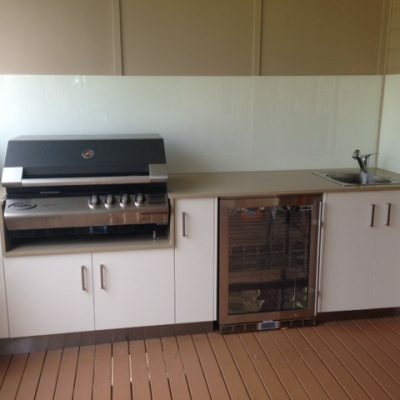 There’s no better professionals to trust with the fitout of your modern outdoor kitchen than A&T Cabinet Makers in Brisbane. 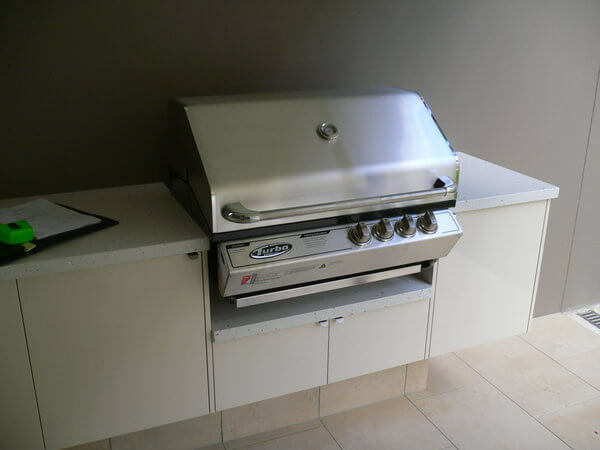 The experts in cabinet making, we design and install custom-made outdoor kitchen cabinets to create the perfect built-in BBQ area for your home. Revamp your backyard and transform the space into an entertaining delight. 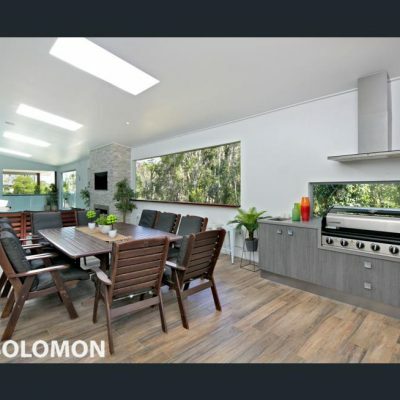 Have you dreamed of renovating the home but seems like too much hassle? A cabinet fitout can give any room of the home the facelift it needs without having to commit to an entire renovation job. 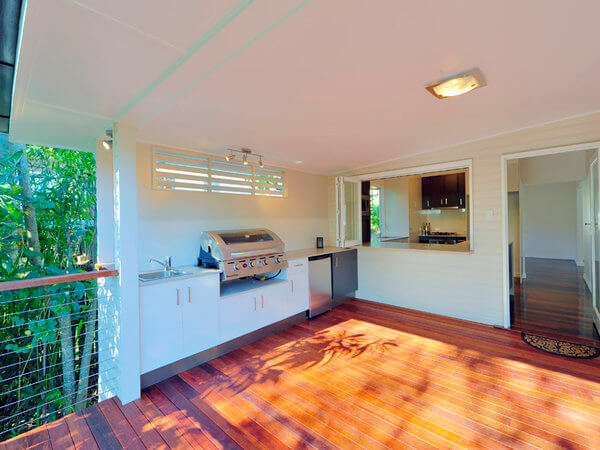 Our team of craftsmen will work with you to design outdoor kitchen cabinets that fit in flawlessly with your home’s existing décor or the vision you have for it. 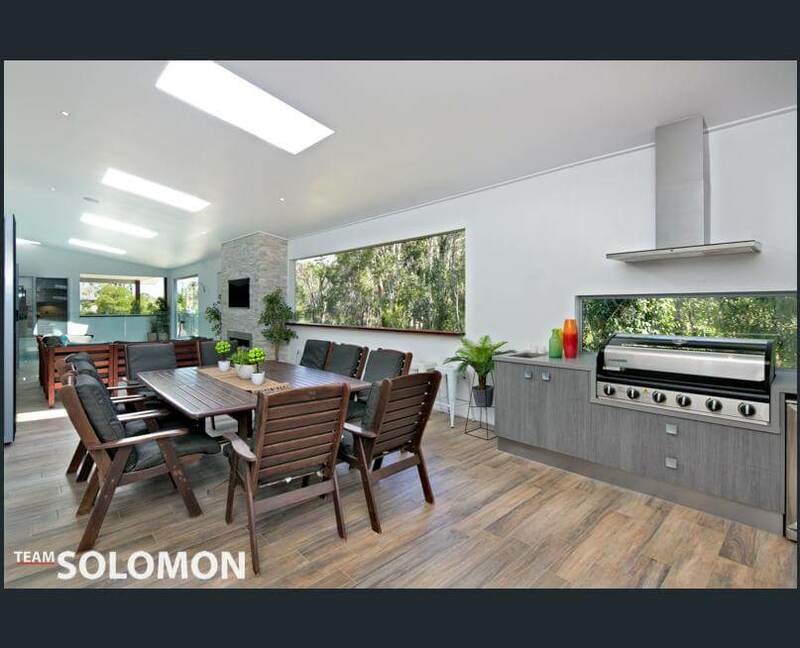 Expand your living space with a modern outdoor kitchen, perfect for entertaining in sunny Queensland. 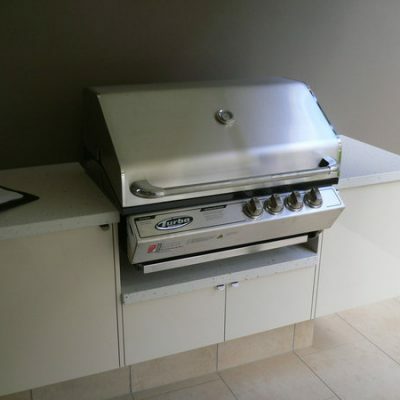 An outdoor BBQ kitchen is a magical addition to any home. 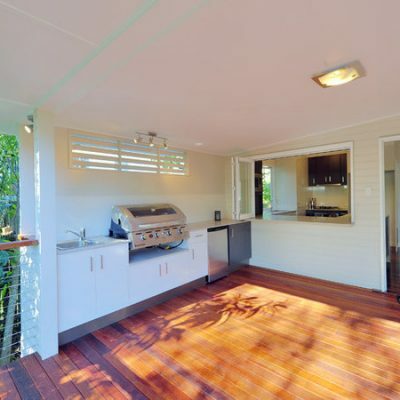 If you have a covered patio, you’re already set to create a built-in BBQ area. Not only does it provide a fabulous location for a get-together with friends and family, it also adds value to the home, saves on energy usage (no need to blast the air-con when the cooking gets hot!) and adds a new element of the home to enjoy. No house is exactly the same and so their cabinet fitout shouldn’t be either. 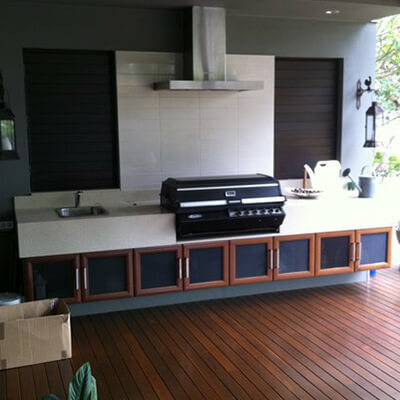 A&T Cabinet Makers has a 6-step process for creating customised outdoor kitchen cabinets for your home. With your involvement, we’ll craft a concept that suits your style and budget, and won’t begin any work until you’re 100% happy with every aspect. If there’s a particular look, trend or material you’ve been coveting, we’ll do our best to incorporate it in the design. Using our skilled eye, we’ll be sure to create a bespoke cabinet that provides maximum functionality for the space provided. You’ll enjoy an outdoor kitchen that has all the space to store the necessities, while keeping them tucked neatly away in a fine aesthetic. 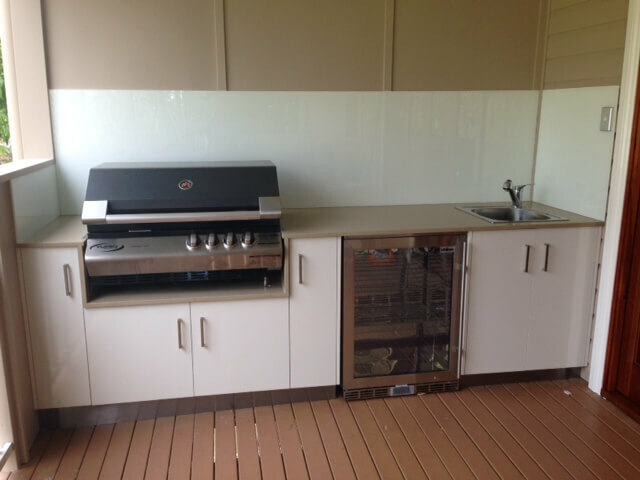 A&T Cabinet Makers can transform your outside BBQ area with custom-made outdoor kitchen cabinets. Contact us today to book your obligation-free quote.